Preservation Treatments (Surrey) Ltd was established in 1972 and, as a Helifix approved installer, have years of experience in providing Structural Repairs in Alton. If you are looking for a Helifix approved installer in Alton, call 0800 1422 513 to arrange for a Survey. Structural cracking, horizontal cracking of bed joints, bowing brickwork, and cracked lintels are all signs that a building is undergoing movement of some description. Causes can include wall tie failures, lintel failures and even natural causes such as tree roots affecting the foundation. 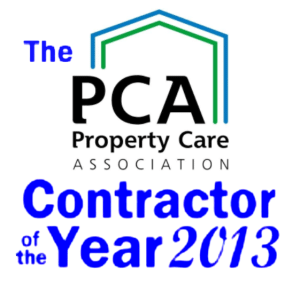 Correctly diagnosing the exact cause is essential for suitable remedial work to be carried out. Preservation Treatments are an approved installer of the Helibeam System, which provides a rapid, cost-effective means of restoring structural integrity to buildings where masonry has failed and lost its load bearing capabilities. In combination with other Helifix ties and fixings it provides a comprehensive, reliable and economic system of repair and stabilisation. Helifix Crack Stitching repairs and stabilises cracked masonry using stainless steel HeliBars bonded into cut slots with HeliBond grout for a quick, simple, effective and permanent solution. Cracked masonry is best stabilised by bonding HeliBar stainless steel bars into suitable bed joints or cut slots. Tensile loads are redistributed along the masonry to minimise further developments of the crack which may occur with simple injection methods. Preservation Treatments offer a versatile and rapidly installed mechanical pinning and remedial tying system that requires no resin, grout or mechanical expansion. Other types of tie are available for specialist applications. For securing delicate terracotta fixings, securing loose render and for securing a soft outer leaf material to a hard inner leaf. The Helifix BowTie is a long stainless steel tie used to stabilise bulging walls, without any external plates, by securing them into the ends of internal floor joists. The BowTie HD is a heavy duty 12mm diameter threaded bar with self-cutting end used to restrain bowing building walls by securing them to internal parallel floor joists or roof beams. Preservation Treatments are proud to be an approved installer of the Helifix Helibeam system. Upon instruction, one of our Helifix approved Surveyors will asses the structural issues affecting your property and will develop a suitable repair strategy. They will provide a full report outlining their findings along with a quotation for the remedial work. 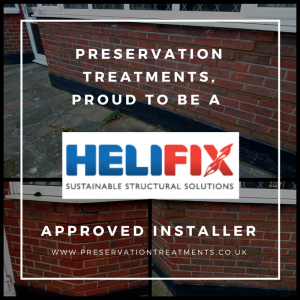 As a Helifix approved installer, this repair strategy will be looked over and approved by Helifix, who, where appropriate, will also offer an insurance backed guarantee.